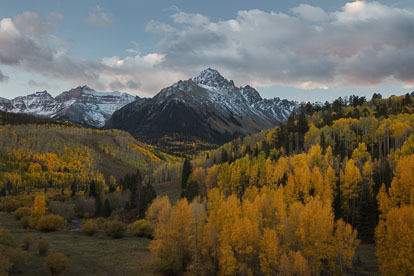 Autumn Valley Serenity - A few rays from the setting sun shine through glowing clouds and illuminate the side of Mount Sneffels above a valley filled with golden aspen trees in the Uncompahgre National Forest outside of Ridgway, Colorado. 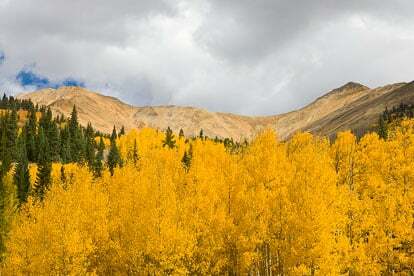 Autumn Artistry - Golden aspen trees line a ridge with Avery Peak looming in the distance outside of Gothic, Colorado. 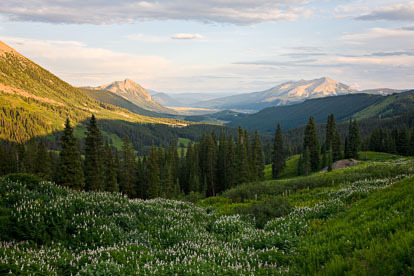 So Green - Mount Bellview rises above a lush green valley in the Gunnison National Forest outside of Crested Butte, Colorado. 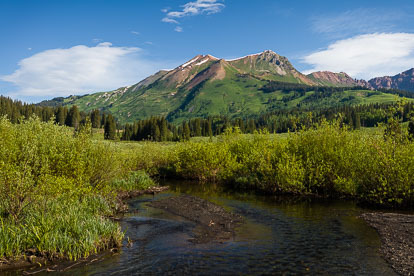 Spring Sentinel - Green-sided Mount Bellview rises above the meandering headwaters of the East River in a lush valley in the Gunnison National Forest outside of Crested Butte, Colorado. 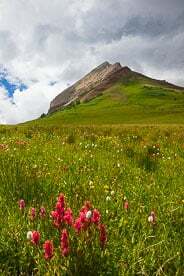 Gentle Awakening - Marcellina Mountain basks in early morning sunlight beyond a lush green meadow in the Gunnison National Forest outside of Crested Butte, Colorado. 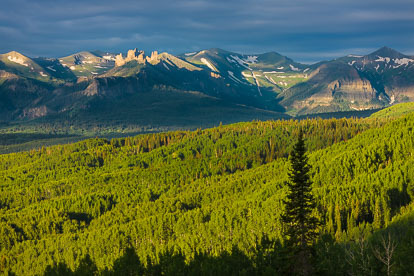 Mountain Daybreak - The rising sun bathes the top of East Beckwith Mountain in warm light beyond a valley filled with vibrant spring green trees in the Gunnison National Forest outside of Crested Butte, Colorado. Smoky Valley View - Smoke from wildfires to the south fills the valley below Washington Gulch and the town of Crested Butte in central Colorado. Pink Winter Dawn - The Arkansas River valley and the Sawatch Mountains in the distance are bathed in soft pink light at dawn on a winter morning outside of Buena Vista, Colorado. 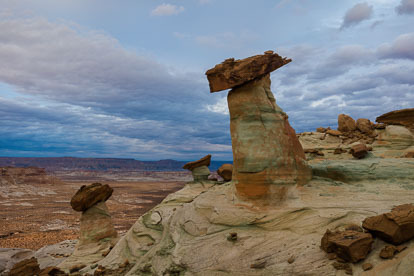 Stone Spectators - A group of stone hoodoos perched along Stud Horse Point overlook a desert valley below with foreboding evening skies overhead outside of Page, Arizona. 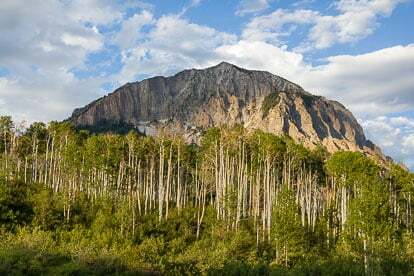 Golden Grandeur - The sheer southwest face of Marcellina Mountain looms over a mountainside covered with golden aspens and rust/orange underbrush along County Road 12 west of Crested Butte, Colorado. 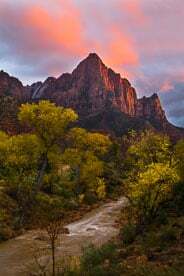 Cimarron Glow - The fleeting autumn rays of the setting sun light up the face of a section of the Cimarron Ridge behind a valley filled with multi-colored brush outside Ridgway, Colorado. 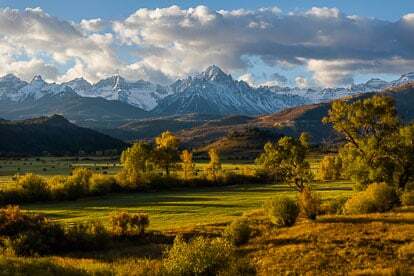 Autumn Daybreak - A glorious fall scene with early morning sunlight shining on the golden fields of the Double RL Ranch with the snow-covered Mount Sneffels looming in the distance outside of Ridgway, in southwestern Colorado. 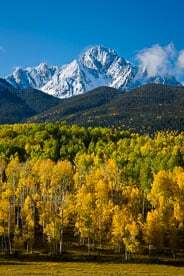 Summer No More - Summer gives way to autumn and Virginia Peak is dusted with snow and the valley below is filled with golden aspens and underbrush in the San Isabel National Forest outside of the old mining town of Winfield, Colorado. 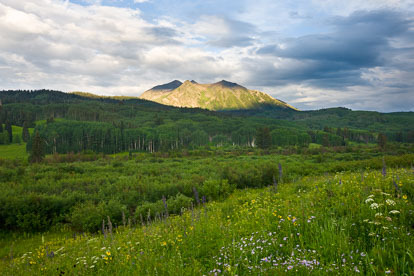 Time to Shine - Sunlight breaks through evening clouds to light up a spring green aspen grove below Marcellina Mountain outside of Crested Butte, Colorado. 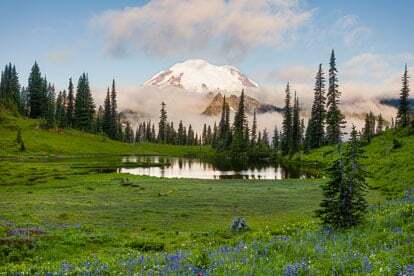 The Giant Awakens - Mount Rainier emerges from early morning clouds and towers over Upper Tipsoo Lake and a meadow sprinkled with wildflowers in Mount Rainer National Park, Washington. 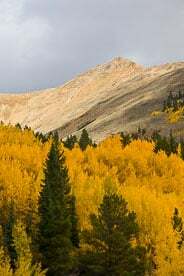 Momentary Magic - The sun breaks through evening storm clouds and illuminates a valley carpeted in golden aspen trees beneath Capitol Peak outside of Snowmass, Colorado. 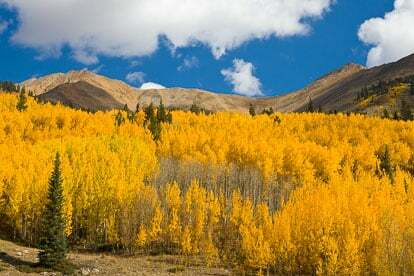 Colorado Gold - Puffy white clouds fill a Colorado blue sky above Leahy Peak flanked by golden aspen trees outside of Aspen, Colorado. Autumn Transition - Overnight storm clouds begin to clear shortly after sunrise revealing a dusting of snow on the top of Mt. Princeton outside of Buena Vista, Colorado. 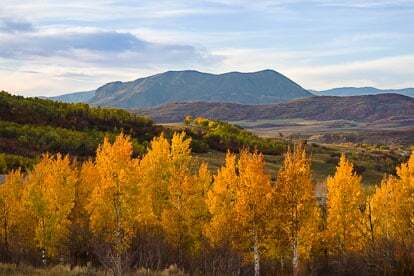 Autumn Tranquility - Late day light illuminates a stand of golden aspens on a hillside overlooking the Sleeping Giant in Steamboat Springs, Colorado. 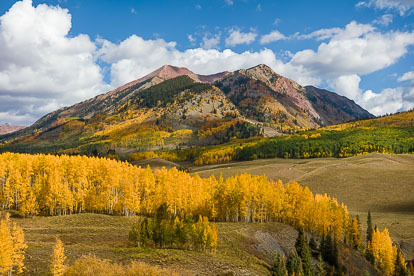 Autumn Mountain Grandeur - A panoramic view of Flat Top Mountain beyond a valley filled with golden aspens in northwest Colorado the morning after a fresh snow. 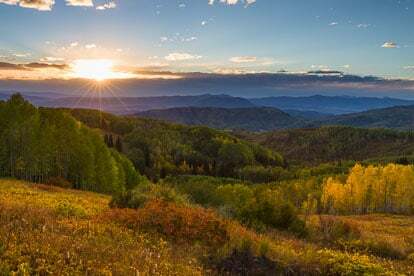 Autumn Evening Radiance - The sun sets through distant clouds beyond a golden hillside and a valley dotted with vibrant fall color outside of Steamboat Springs, Colorado. 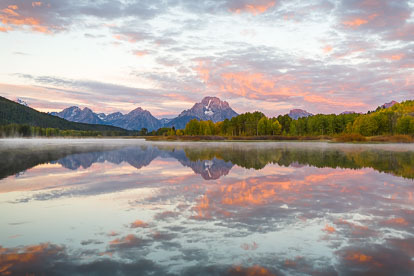 Mirrored Majesty - Mount Moran and a sky filled with glowing pink clouds at sunrise are reflected in the calm waters of the Snake River at Oxbow Bend in Grand Teton National Park, Wyoming. 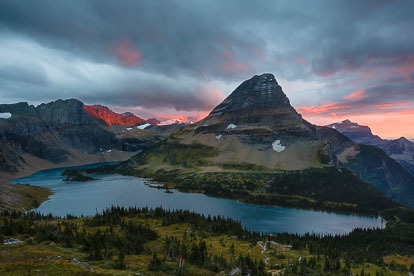 Heavenly Crescendo - The clouds turn pink and a shaft of light paints the mountains red behind Bearhat Mountain and Hidden Lake as the sun sets high in Glacier National Park, Montana. 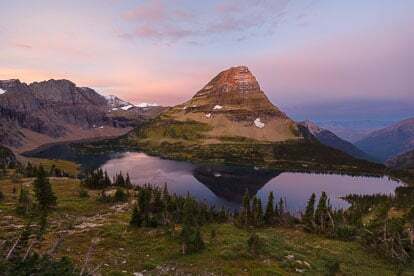 Tranquil Dawning - Pink skies surround Bearhat Mountain as it basks in the first light of dawn and is reflected in the waters of Hidden Lake high up in the mountains of Glacier National Park in Montana. 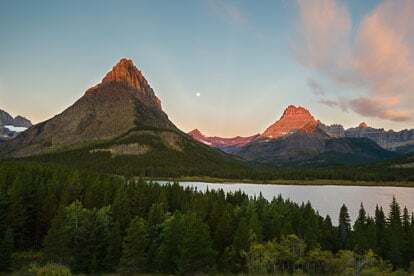 Gentle Awakening - The first rays of sunlight strike the tops of Grinnell Point and Swiftcurrent Mountain as the full moon sets between them at Swiftcurrent Lake in Glacier National Park in Montana. 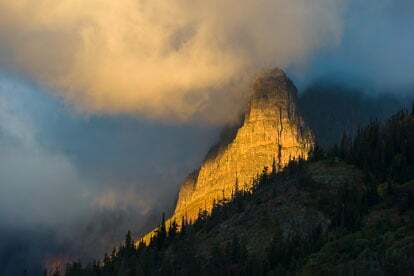 Ominous Radiance - A shaft of light streams through swirling clouds and illuminates the side of Pumpelly Pillar at sunrise in Glacier National Park, Montana. 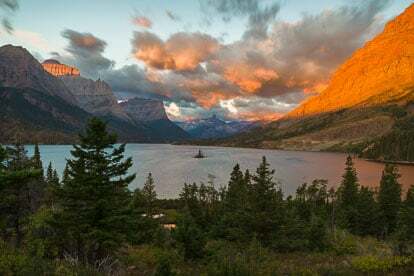 Morning Glory - The rising sun streams across the tops of the mountains surrounding Saint Mary Lake painting the clouds and the mountainsides orange on a windy morning in Glacier National Park, Montana. 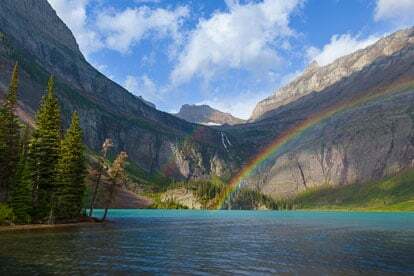 Alpine Treasure - A rainbow appears as the sun breaks through the clouds during a morning shower at Grinnell Lake in Glacier National Park in Montana. 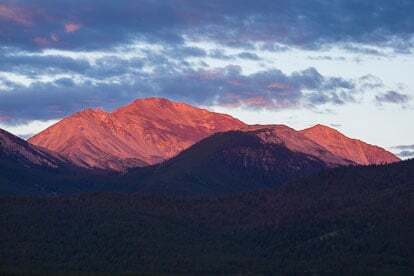 Morning Blush - Mount Yale glows in the pink light of dawn in the San Isabel National Forest outside of Buena Vista, Colorado. 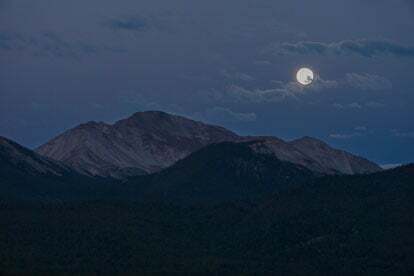 Blue Moon over Mount Yale - The full moon sets over Mount Yale in the purple skies of twilight outside of Buena Vista, Colorado. Sunset Blush - The last light of the day streams down a mountain valley and brushes the top of towering Mount Princeton outside of Buena Vista, Colorado. 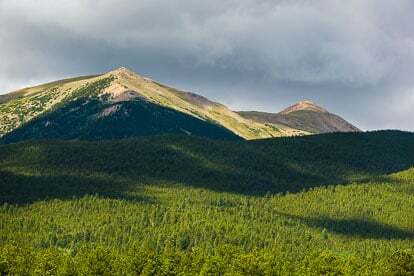 Shadow Dance - Clouds build over Mount Columbia casting a patchwork of shadows on the mountainside in the San Isabel National Forest outside of Buena Vista, Colorado. 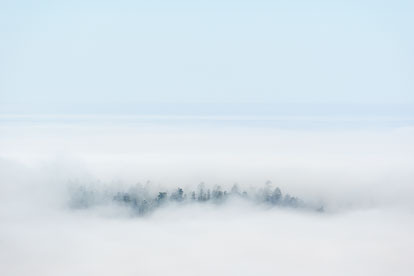 Island in the Sky - Pine trees on a hillside surrounded by morning fog appear to be an island in the sky in Redwood National Park outside of Orick, California. 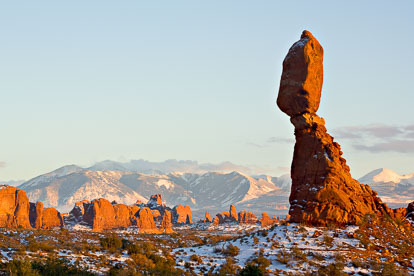 Evening Tranquility in the Desert - The setting sun casts late day shadows on the Garden of Eden rock formations and illuminates a towering cloud formation above it as well as the distant snow-covered La Sal Mountains in Arches National Park, Utah. Mt. Princeton in White - A fresh coating of spring snow blankets Mt. Princeton outside of Buena Vista, Colorado. 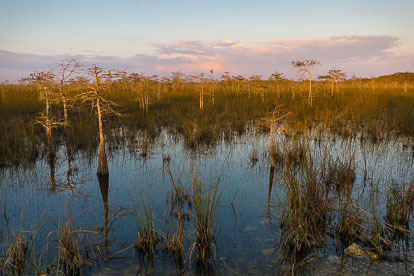 Silence Comes to the Slough - Sunset casts a warm glow over a slough filled with dwarf cypress trees in Everglades National Park, Florida. 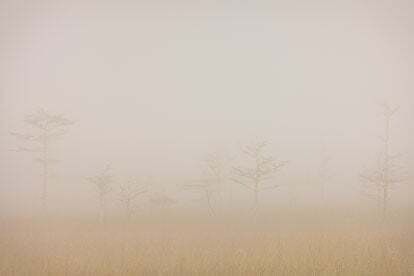 Shroud of Stillness - Scraggly bald cypress trees are just visible through a dense fog in Everglades National Park, Florida. Daybreak at the Slough - The rising sun burns its way through the last of the fog hanging over a slough filled with red mangroves in Everglades National Park, Florida. 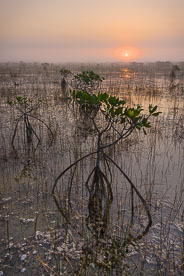 Mangrove Morning - The sun rises behind a layer of ground fog hanging over a slough filled with red mangroves in Everglades National Park, Florida. 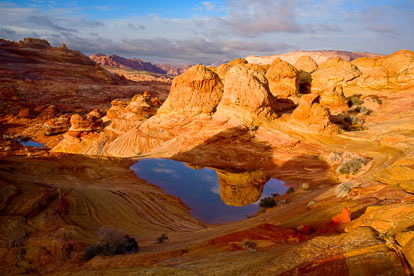 Stone Silence - Stud Horse Point basks in a sunset glow outside of Page, Arizona. Snowstorm Sunset - Sunlight streams through breaking snowstorm clouds and lights up the Grenadier Mountains beyond Molas Lake outside of Silverton, Colorado. Sunset Crescendo - An ominous sky clears enough to let the setting sun through to illuminate The Watchman and the clouds above in Zion National Park, Utah. 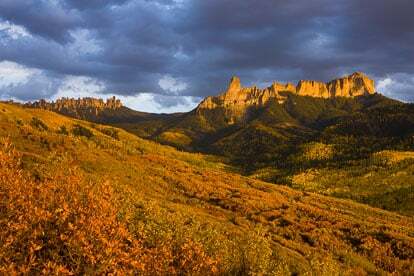 Spotlight on Chimney Rock - The setting sun breaks through clouds and bathes Chimney Rock, Courthouse Mountain, and the valley filled with autumn colors below with golden light outside of Ridgway, Colorado. 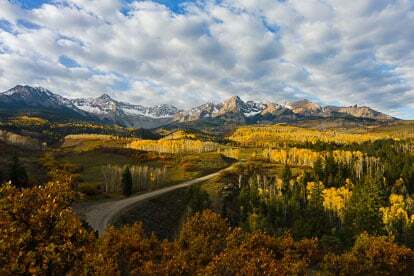 Golden Valley View - Early morning cloud cover breaks and sunshine spills into a valley filled with golden aspens beneath the Sneffels Range outside of Ridgway, Colorado. 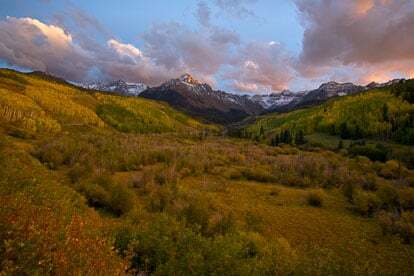 Autumn Evening Crescendo - A fall scene in southwestern Colorado with a setting sun illuminating breaking cloud cover over the Sneffels Range outside of Ridgway. 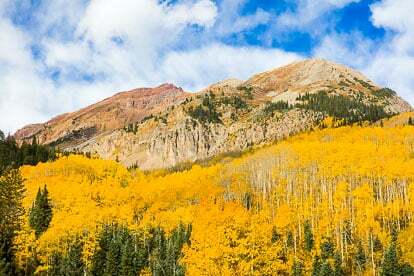 Shades of Sneffels - Vibrant fall foliage fills the valley below Mount Sneffels outside of Ridgway, Colorado. 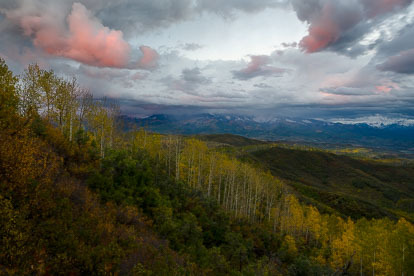 Pink Skies and Autumn Colors Panorama - Early on a fall morning, dawn light turns the clouds pink above Mount Sneffels and the Sneffels Range in this panoramic view outside of Ridgway, Colorado. 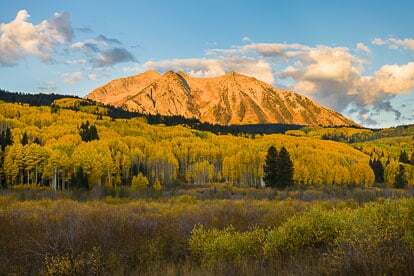 Sunset Splendor - The Beckwith Mountains catch rays from the setting sun behind a valley filled with autumn colors outside of Crested Butte, Colorado. 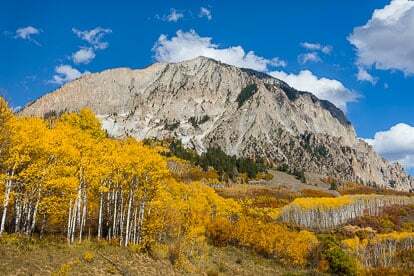 Golden Blanket - Brilliant golden aspens cover the mountainside at the base of Mount Owen and The Dyke outside of Crested Butte, Colorado. 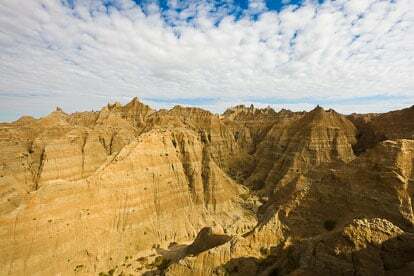 Bizarre Badlands - Patches of sunlight illuminate the layered rock spires in Badlands National Park, South Dakota. 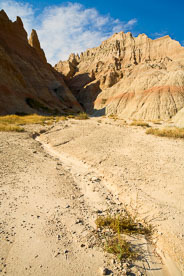 Rising Above the Prairie - Summer sunlight dances along rugged rock formations in Badlands National Park, South Dakota. 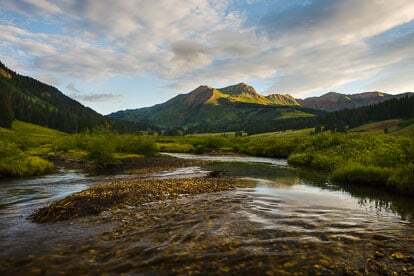 Sundance on the Three Apostles - The setting sun illuminates the Three Apostles that are reflected in a beaver pond in Clear Creek Canyon outside of Buena Vista, Colorado. 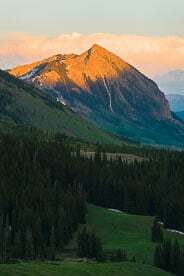 Summer Sunrise on Mount Bellview - Sunlight reaches the peak of Mount Bellview rising above the East River outside of Gothic, Colorado. 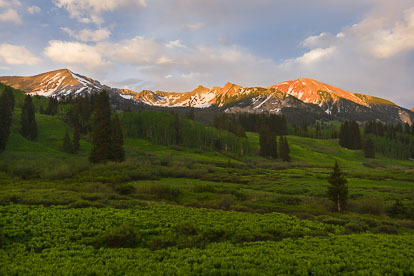 Evening Finale - Dorothy Peak, Avery Peak, Crested Butte, and Gothic Mountain are lit by sunlight streaming through glowing clouds at sunset in this panoramic springtime scene looking down the East River Valley outside of Crested Butte, Colorado. 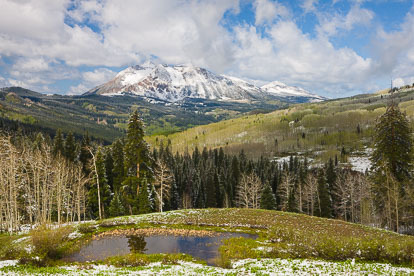 Spring Snow on the Beckwiths - Early spring snowfall coats the Beckwith Mountains and contrasts the vibrant green landscape outside of Crested Butte, Colorado. 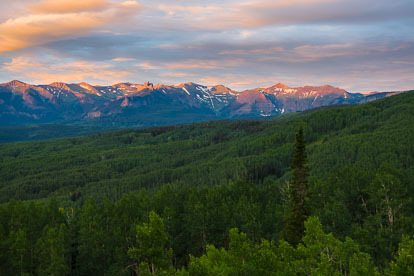 Springtime Sunrise Spectacle - The clouds behind the Beckwith Mountains glow with the light of the rising sun beyond a valley filled with vibrant green aspens outside of Crested Butte, Colorado. 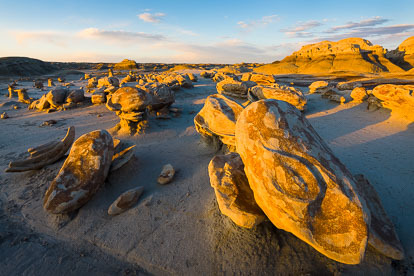 The Eggs of Bisti - The setting sun highlights the rock formations at the Egg Factory in the Bisti Wilderness Area in New Mexico. 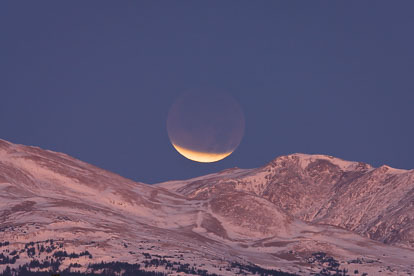 Lunar Eclipse of the Rockies - During a lunar eclipse, a sliver of the full moon remains exposed as it sets over the Rocky Mountains outside of Buena Vista, Colorado. The Morning After the Storm-Mt. 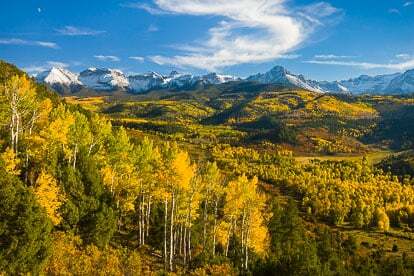 Princeton - An early fall snowstorm on the Collegiate Peaks clears at daybreak outside of Buena Vista, Colorado. The Morning After the Storm-Mt. 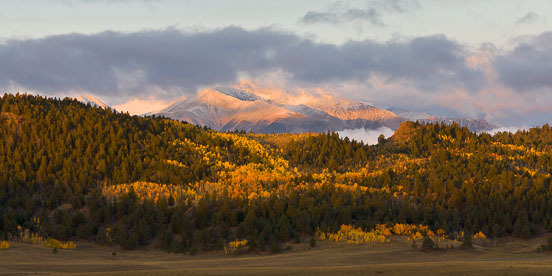 Antero - An early fall snowstorm on the Sawatch Range clears at daybreak outside of Buena Vista, Colorado. 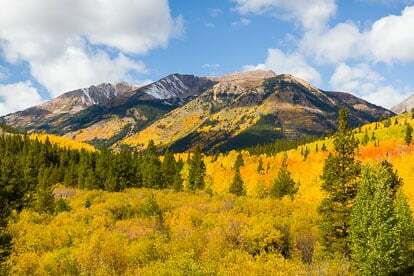 Sunlit Irvin Peak - Sunlight on Irvin Peak with golden aspens in the foreground outside of Buena Vista, Colorado. 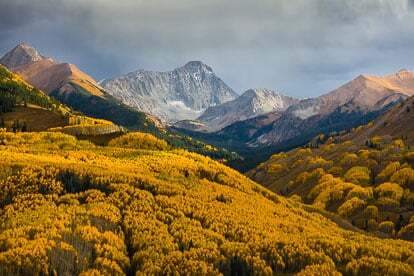 Fall Color below Mount Blaurock and Irvin Peak #2 - Sunlight on Mount Blaurock and Irvin Peak with golden aspens in the foreground outside of Buena Vista, Colorado. 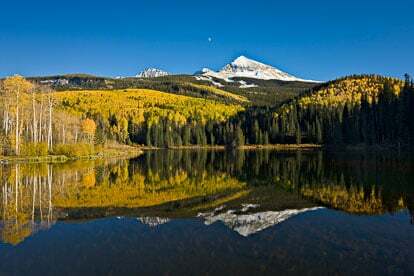 Fall Color below Mount Blaurock and Irvin Peak #1 - Sunlight on Mount Blaurock and Irvin Peak with golden aspens in the foreground outside of Buena Vista, Colorado. Distant View of Leadville - Leadville is barely visible past Mt. Elbert and Twin Lakes from a viewpoint above Granite, Colorado. 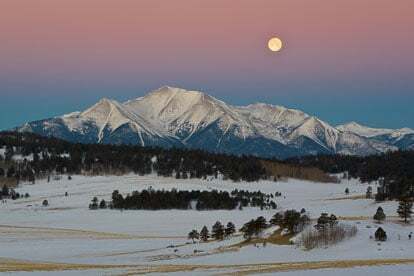 First Light in the Arkansas Valley - The first light of day illuminates the Collegiate Peaks and the mountains to the south outside of Buena Vista, Colorado. Dawn Greets the Arkansas River Valley - Early dawn sunshine paints the skies pink above the Collegiate Peaks and the mountains to the south outside of Bunea Vista, Colorado. 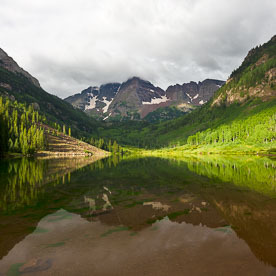 Let There Be Light - A shaft of light illuminates a section of the shoreline along Maroon Lake adding a splash of color to an otherwise dismal view of the Maroon Bells outside of Aspen, Colorado. 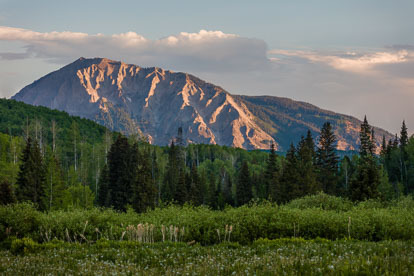 Capital Peak Summer Sunset - The last light of the day glows on Capital Peak beyond a luch green valley filled with aspen trees outside of Basalt, Colorado. 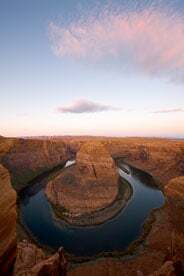 Morning Serenity - The first light of dawn bathes Horseshoe Bend and the clouds above in a soft, serene pink light outside of Page, Arizona. 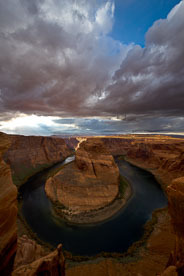 Before the Storm - The sun breaks through foreboding storm clouds and lights the walls of the canyon at Horseshoe Bend outside of Page, Arizona. 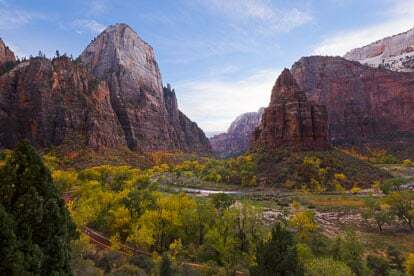 Autumn Comes to the Valley Floor - The autumn colors in the valley provide striking contrast to the The Great White Throne in Zion National Park, Utah. 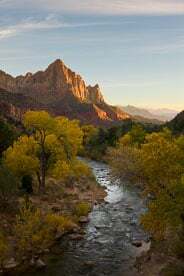 Autumn Sunset on The Watchman - The Watchman towers over the North Fork of the Virgin River valley filled with glowing cottonwood trees in Zion National Park, Utah. 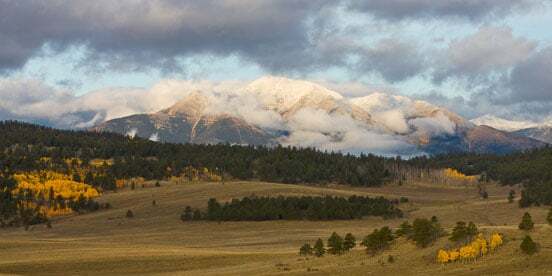 First Snow on the Collegiate Peaks - Panoramic image of the Collegiate Peaks mountain range with the first snow of the season on the peaks outside of Buena Vista, Colorado. 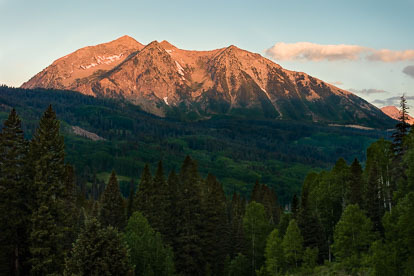 Collegiate Peaks Panorama from Aspen Ridge - The Collegiate Peaks are lit by early morning light with golden aspen trees in the foreground outside of Buena Vista, Colorado. Storm Brewing over Engineer Mountain - A summer storm builds over Engineer Mountain in southwestern Colorado. 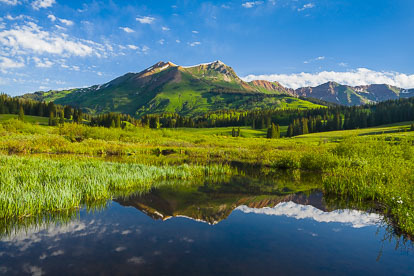 Morning Cloud Magic - A towering cloud rises above Augusta and Purple Mountains and is reflected in a beaver pond outside of Crested Butte, Colorado. 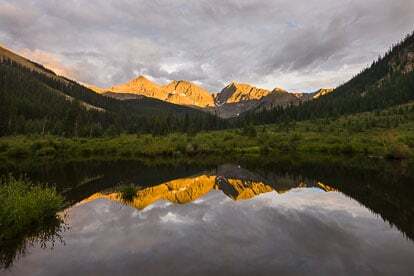 Evening Kiss - The last light of the day kisses the peak of Crested Butte outside of Crested Butte, Colorado. 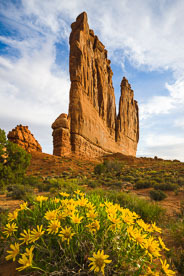 Mulesear Morning - Early morning light shines on the Organ with bright yellow flowers in the foreground at Arches National Park in Utah. 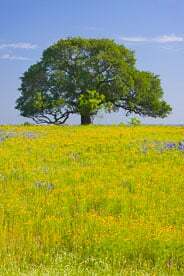 King of the Hill - A sprawling oak tree stands in a golden field of wildflowers outside of Fredericksburg, Texas. 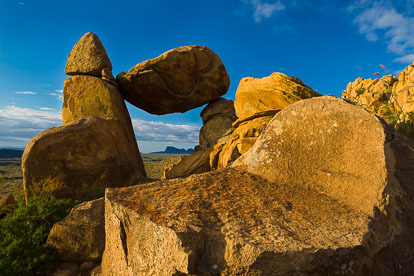 Sunrise on Balanced Rock - Warm early light shines on the Balanced Rock, a rock formation in Big Bend National Park in Texas. 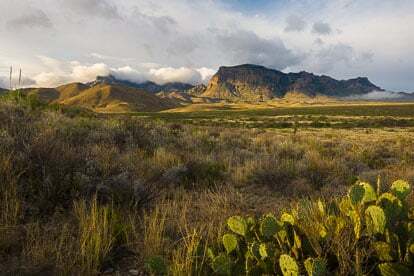 Chisos Mountains Morning - Clouds lift over the Chisos Mountains at sunrise in Big Bend National Park in Texas. 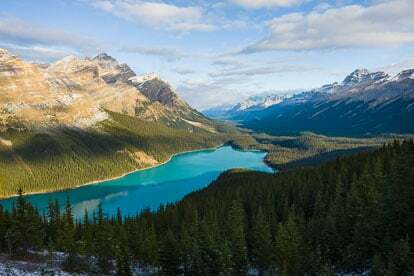 Dawn at Peyto Lake - Sunrise spills into the mountainous valley and illuminates the aqua colored water of Peyto Lake in Banff National Park, Canada. A Ray of Light - The setting sun breaks through the clouds and shines on Mt. 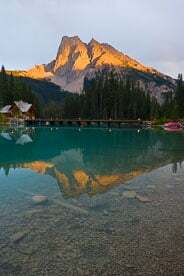 Burgess reflected in Emerald Lake in Yoho National Park, Canada. 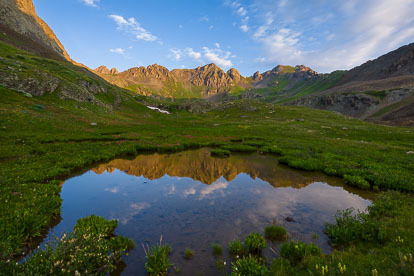 Pristine Pond at 12,000 Feet - An alpine pond reflects the brilliant blue sky on Cottonwood Pass, above Buena Vista, Colorado. Sunrise on Mt. 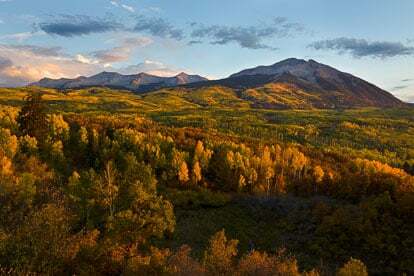 Sopris - Mt. 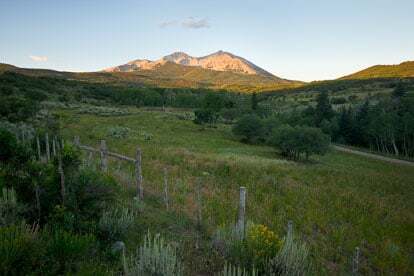 Sopris is lit by the rising sun behind a ranch view outside of Basalt, Colorado. 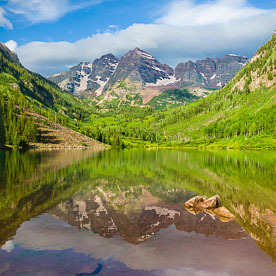 Summer Grandeur - The Maroon Bells and the surrounding vibrant hillsides reflect in Maroon Lake outside of Aspen, Colorado. 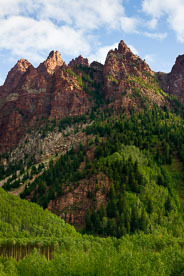 Reach for the Sky - Sievers Mountain's jagged peaks reach towards the clouds outside of Aspen, Colorado. 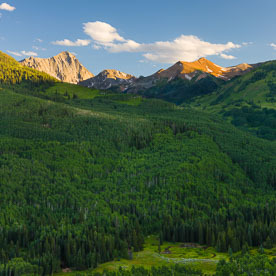 Last Light in the Valley - A view down Washington Gulch as the evening light bathes the mountains around Crested Butte in Colorado. 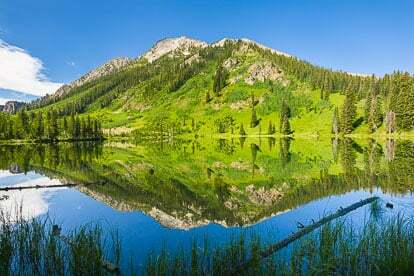 Mirrored Mountain - The vibrant colors of East Beckwith Mountain are reflected in the calm waters of Dollar Lake in western Colorado. 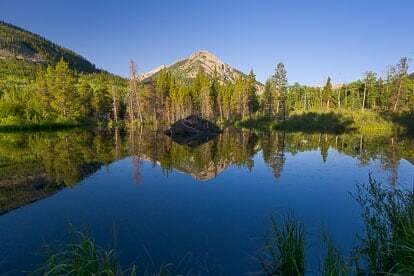 Nestled in Pines Panorama - Panoramic image of Lost Lake Slough nestled in the pines beneath Marcellina Mountain and the West Elk Mountain range outside of Crested Butte, Colorado. 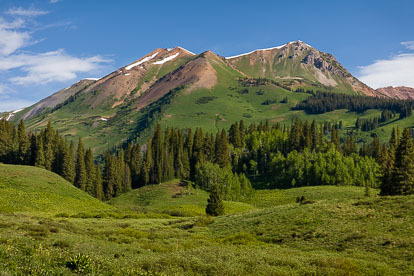 Sunlight on Beckwith Mountain - Beautiful green valley with East Beckwith Mountain lit by early morning sunshine outside of Crested Butte, Colorado. 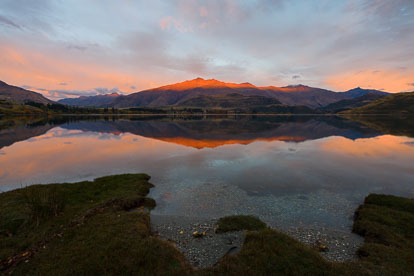 Peaceful Dawning - The rising sun paints the clouds pink and illuminates the top of Mount Hyde and is reflected in the still water of Glendhu Bay on Lake Wanaka on the South Island of New Zealand. 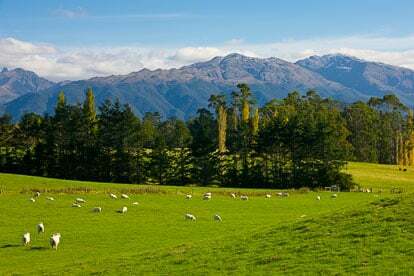 Green Valley - Sheep graze in a bright green valley on the South Island of New Zealand. 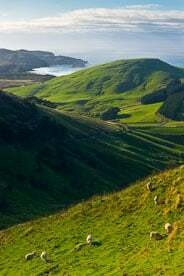 Seaside Grazing - Sheep graze on the hillside along the South Island coast in New Zealand. 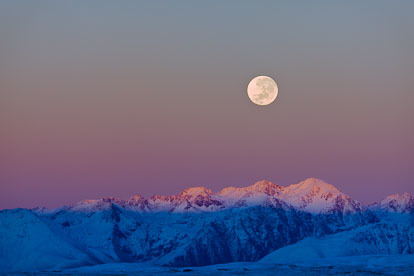 Violet Moon - A full moon sets as the rising sun turns the snowy mountain landscape pink and violet on the South Island in New Zealand. Rock Framing - Snow covered Mt. 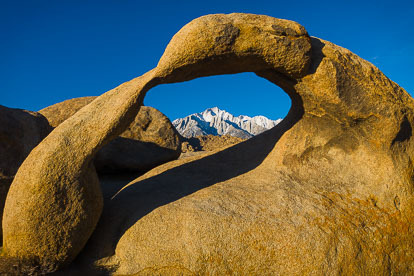 Whitney is framed by Mobius Arch in the Alabama Hills outside of Lone Pine, California. 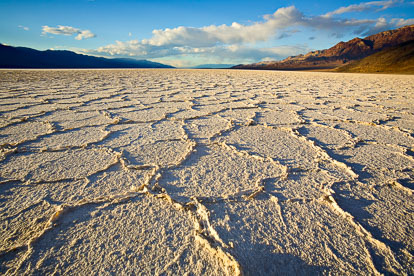 Pastel Flats - Vertical - Pink clouds above the salt flats at Badwater in Death Valley National Park, California. 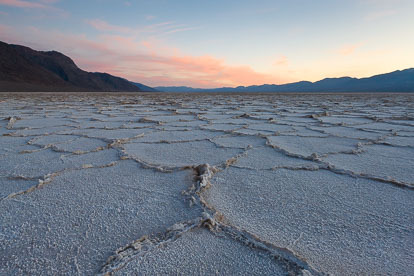 Pastel Flats - Horizontal - Pink clouds above the salt flats at Badwater in Death Valley National Park, California. 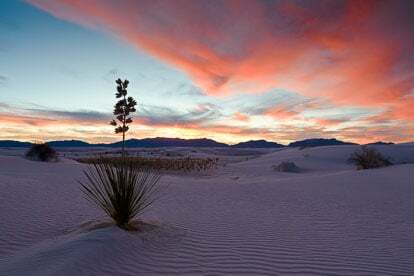 Pink Dunes Sunset #1 - The setting sun turns the skies and sand shades of pink at White Sands National Monument in New Mexico. 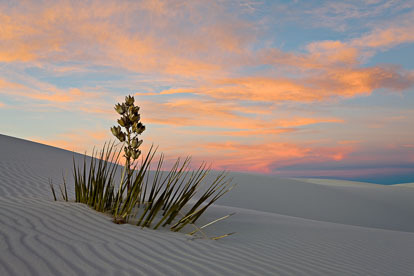 Pink Dunes Sunset #2 - The setting sun turns the skies and sand shades of pink at White Sands National Monument in New Mexico. 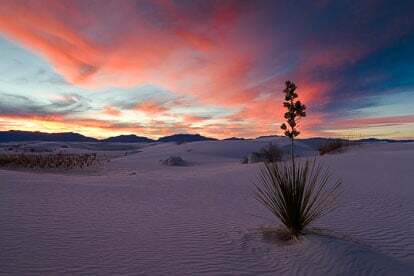 Lone Yucca at Dusk - The setting sun turns the clouds pastel colors behind a lone yucca at White Sands National Monument in New Mexico. 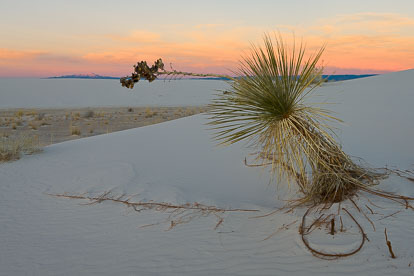 Reaching... - A yucca seems to be reaching for the distant mountain range in the distance at White Sands National Monument, New Mexico. 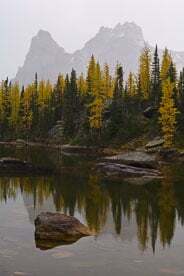 Woods Lake Reflection - Golden aspens and snow-capped Wilson Peak is reflected in Woods Lake outside of Telluride, Colorado. 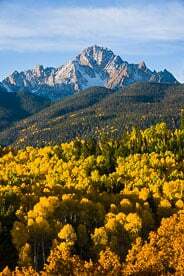 Fall Splendor - Fall color fills the hillsides and valley with the Sneffels Range coated in snow in the distance outside of Ridway, Colorado. 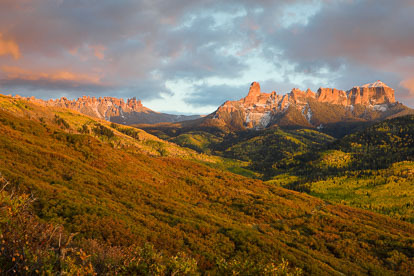 Grand Autumn Sunset - The setting sun bathes Courthouse Mountain and Chimney Rock outside of Ridgway, Colorado with orange light and accentuates the valley filled with autumn color. 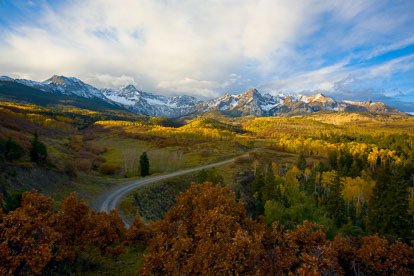 Sneffels Grandeur - Snow-capped Mount Sneffels rises behind a grove of changing aspen trees outside of Ridgway, Clorado. Beneath the Clouds - After an autumn rain shower, the clouds lift revealing a valley full of golden aspens outside of Ridgway, Colorado. 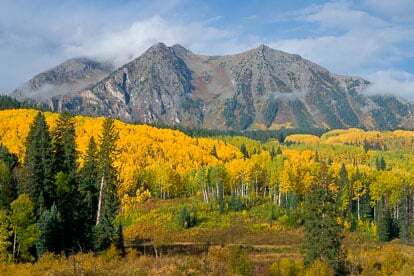 Grand Autumn View - The Beckwith Mountains rise above a valley filled with green and golden aspens punctuated by the rust colors of scrub oak on Kebler Pass Road outside of Crested Butte, Colorado. 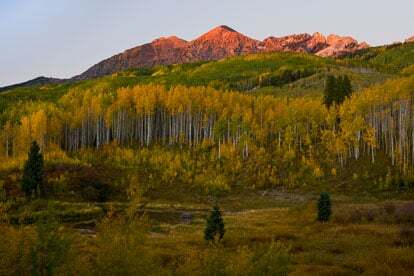 Serene Autumn Sunrise - Sunrise lights up East Beckwith Mountain as it towers above golden aspens outside of Crested Butte, Colorado. 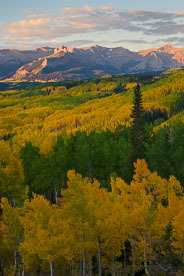 Autumn Castle Sunrise - Vertical - Beyond a valley filled with golden aspens, the rising sun lights up the Castles outside of Crested Butte, Colorado. 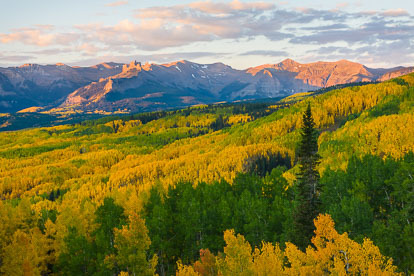 Autumn Castle Sunrise - Horizontal - Beyond a valley filled with golden aspens, the rising sun lights up the Castles outside of Crested Butte, Colorado. Oxbow Bend Refelection - The calm waters at Oxbow Bend reflect the peaks of the Teton range in Grand Teton National Park, Wyoming. 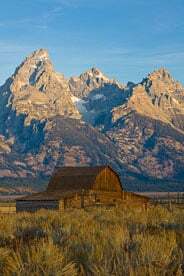 Morman Row Sunrise - Sunrise lights up the Tetons behind a Morman Row barn outside of Jackson, Wyoming. Spotlight on the Castles - The rain stops and the clouds open to let the morning light shine on the Castles and the valley below outside of Crested Butte, Colorado. 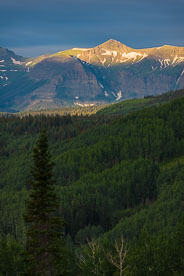 Sunlit Peak - The sun lights up Storm Ridge beyond a valley of green aspens outside of Crested Butte, Colorado. Sunrise on Castle Mountain - The first light of day turns the clouds and the Castles shades of pink outside of Crested Butte, Colorado. 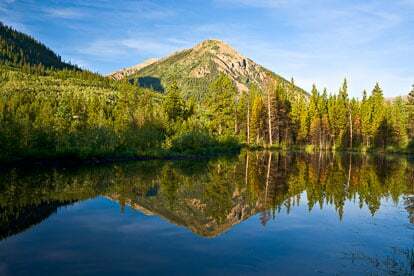 Beaver Dam Reflection - A beaver den mimics the shape of a reflecting mountain peak. 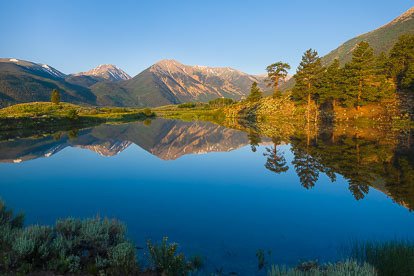 Early Morning Reflection - Quail Mountain reflects in a tranquil beaver pond outside of Twin Lakes, Colorado. 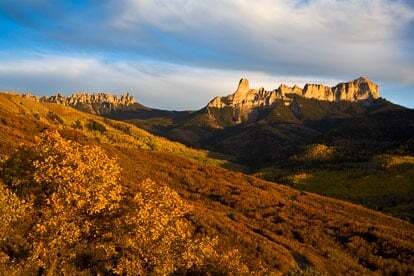 Gothic Valley Sunset - Avery Peak glows in sunset light beyond fields of corn lilies outside of Gothic, Colorado. 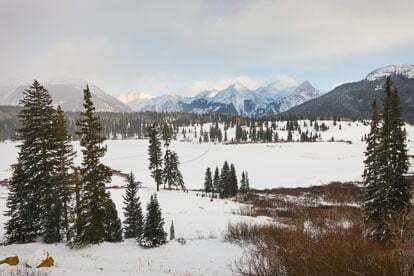 Spring Snow on the Collegiate Peaks - Panoramic image of the Collegiate Peaks covered in snow early in spring outside of Buena Vista, Colorado. 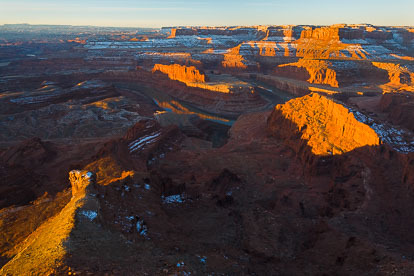 Sunrise at Dead Horse Point - The Canyonlands take on a glow from the rising sun and reflect in the Colorado River as seen from Dead Horse Point outside of Moab, UT. 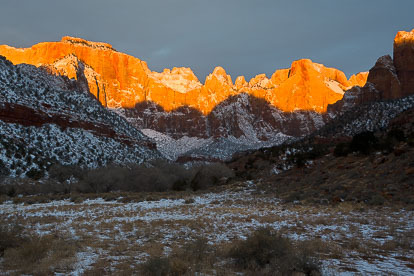 Sunrise on the Towers of the Virgin - The Towers of the Virgin turn orange from the rays of the rising sun in Zion National Park in Utah. 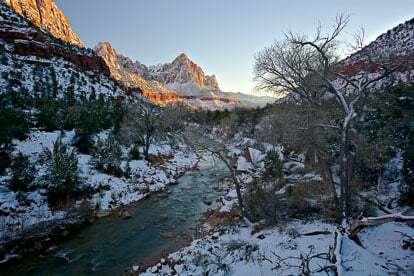 Watchman Winter Sunset - A chilly sunset along the Virgin River as The Watchman catches the last light of the day in Zion National Park in Utah. 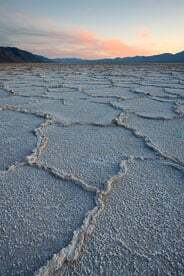 Salt Flat Patterns - Late afternoon light accentuates the patterns in the salt flats at Badwater in Death Valley National Park, California. 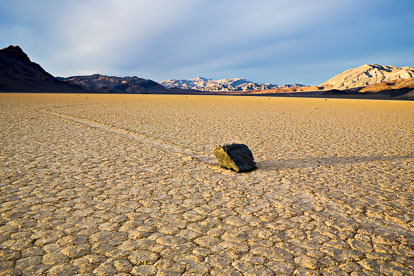 Racetrack Rock - The playa of the Racetrack and its "moving" rocks extends up the valley in Death Valley National Park, California. 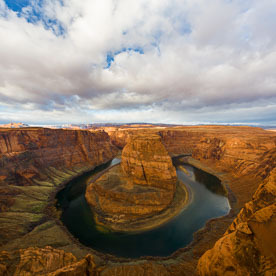 Morning Light on Horseshoe Bend - The Colorado River flows around Horseshoe Bend outside of Page, Arizona. 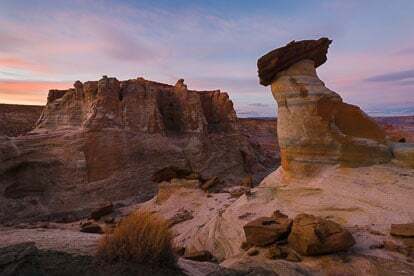 Sunset on Balanced Rock - The setting sun exemplifies the already red rocks of Arches National Park outside of Moab, Utah. Balanced Rock Panorama - Panoramic view of Balanced Rock and the surrounding arches and rock formations at Arches National Park outside of Moab, Utah. 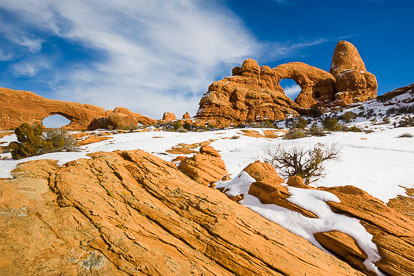 Red, White, and Blue - Turret Arch and the North Window on a sunny winter day in Arches National Park outside of Moab, Utah. 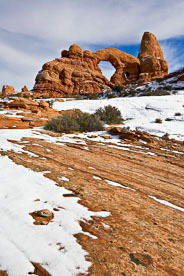 Arches in Red, White, and Blue - Vertical - Turret Arch and the North Window on a sunny winter day in Arches National Park outside of Moab, Utah. 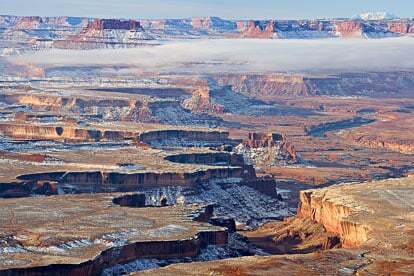 Green River Morning View - Early morning fog hangs above the the Green River as it winds its way through the red rock of Canyonlands National Park outside of Moab, Utah. 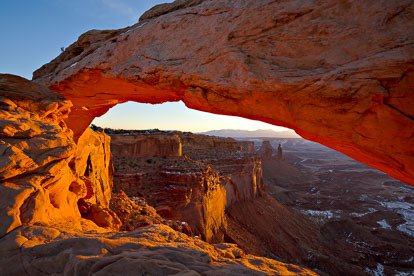 Mesa Arch Glow - The Mesa Arch glows from the sunrise light at Canyonlands National Park outside of Moab, Utah. Standing Guard - Balanced Rock seems to be standing guard over the La Sal Mountains and the other rock formations in Arches National Park outside of Moab, Utah. 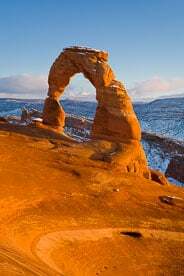 Delicate Arch Sunset - The La Sal Mountains are framed by the red rock of Delicate Arch at sunset in Arches National Park outside of Moab, Utah. 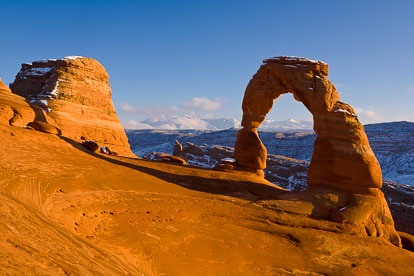 Delicate Arch View - Delicate Arch with the snowy La Sal Mountains in the distance at Arches National Park outside of Moab, Utah. 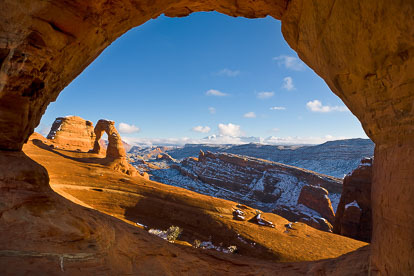 Delicate Arch Framed - Delicate Arch as seen through a window in the rocks above at Arches National Park outside of Moab, Utah. 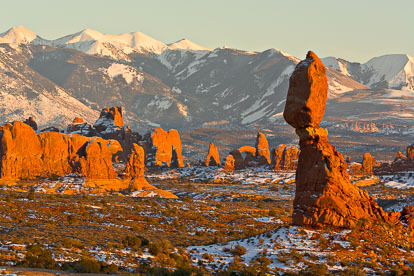 Winter Arches Panorama - Panoramic view of Balanced Rock and the other rock formations of Arches National Park outside of Moab, Utah. 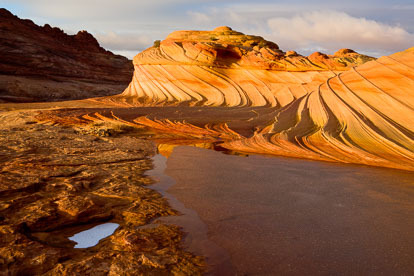 Golden Swirls - An icy pool stands before the sandstone swirls of The Second Wave in northern Arizona. 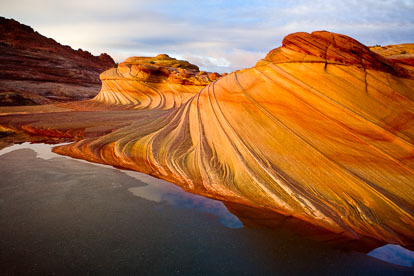 Warm and Cold - The sun shines warm light onto the sandstone swirls of The Second Wave in northern Arizona. 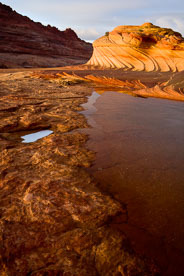 Icy Second Wave - An icy pool stands before the sandstone swirls of The Second Wave in northern Arizona. 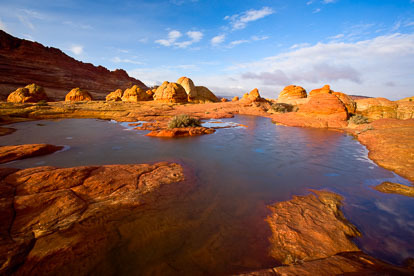 Sandstone Reflection - A red rock formation reflects in a pool at The Wave in northern Arizona. Ice Among the Rocks - Ice covers a pool in the rock formations of The Wave in northern Arizona. 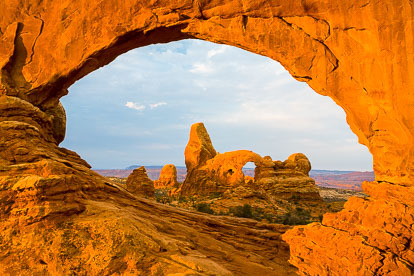 Turret Arch through North Window at Sunrise - Sunrise illuminates the walls of North Window and Turret Arch in the distance at Arches National Park outside of Moab, Utah. 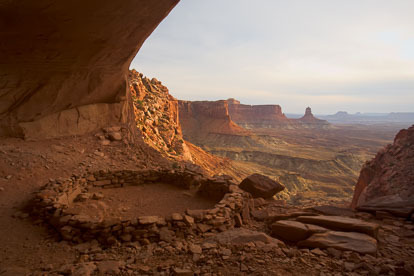 Commanding View - The False Kiva looks out over the canyon as the sun sets at Canyonlands National Park outside of Moab, Utah. 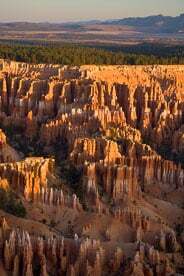 Magical Valley - The distant view of trees and mountains contrasts with the rock spires the fill the canyon that is Bryce Canyon National Park in Utah. 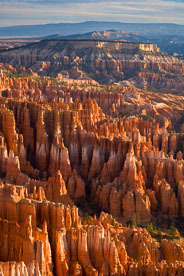 Never Ending Spires - The multicolored spires go on forever in Bryce Canyon National Park in Utah. 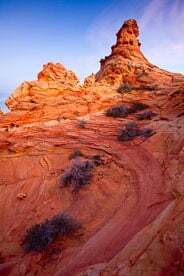 Sandstone Pinnacle - A sandstone pinnacle in the Coyote Buttes area in northern Arizona. 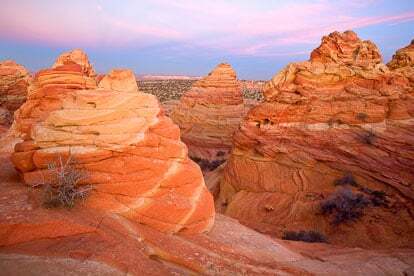 Pink Skies over Coyote Buttes - Sunset turns the clouds in the sky pink and spreads soft light over the rock formations at the Coyote Buttes area in northern Arizona. 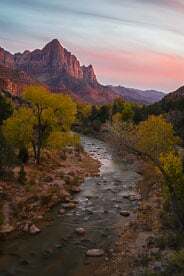 Peace at The Watchman - A peaceful fall sunset with The Watchman looming in the distance at Zion National Park in Utah. 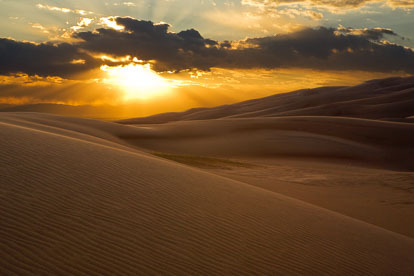 Sunset on the Dunes - The setting sun spreads soft light over the dunes at Great Sand Dunes National Park outside of Alamosa, Colorado. 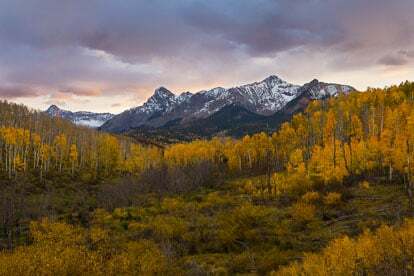 Brilliant Fall Sunrise on the Sneffels Range - Panorama - Panoramic image of the rising sun illuminates the Sneffels Range behind a valley filled with golden aspen and rusty scrub oak outside of Ridgway, Colorado. 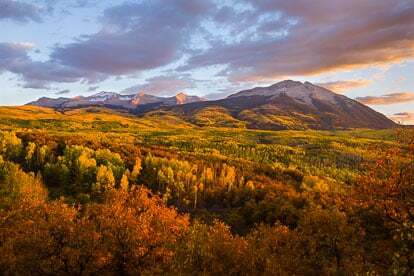 Brilliant Fall Sunrise on the Sneffels Range - The rising sun illuminates the Sneffels Range behind a valley filled with golden aspen and rusty scrub oak outside of Ridgway, Colorado. 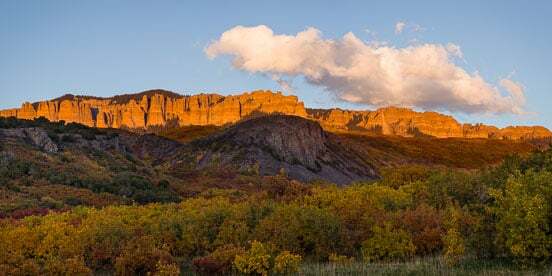 Sunset on Courthouse Mountain and Chimney Rock - Sunset light on the gold and orange hillsides with Courthouse Mountain and Chimney Rock in the distance outside of Ridgway, Colorado. 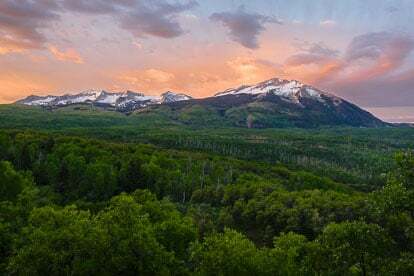 Golden Valley Sunset - The last bit of sunlight illuminates the clouds and the peaks of the Sneffels Range beyond a valley filled with gold and green aspens outside of Ridgway, Colorado. Sunset Light on Mt. Owen - The last light of day turns Mt. Owen red while surrounded with golden aspens outside of Crested Butte, Colorado. Dramatic Clouds over Elk Mountains - Dramatic clouds lit by sunset light hang over the Elk Mountains and a valley filled with fall color outside of Marble, Colorado. 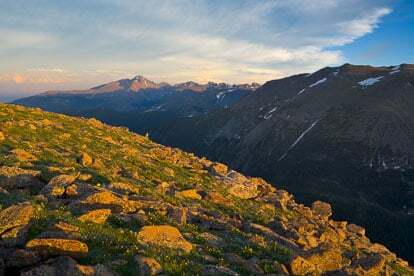 On Top of the Continental Divide - Panoramic image looking over Taylor Park from the top of Cottonwood Pass outside of Buena Vista, Colorado. Mountain Majesty - Panoramic image of Mt. Princeton looming over Bassam Park east of Buena Vista, Colorado. Fog in the Valley - After a chilly evening, a dense fog hangs over Taylor Park outside of Buena Vista, Colorado. 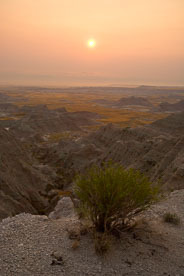 Hazy Sunrise over the Badlands - The sun rises through the haze over Badlands National Park in South Dakota. 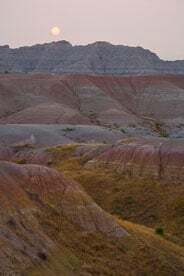 Lunar Landscape Sunrise - The sun shines through the haze above a landscape of colored rocks at Badlands National Park in South Dakota. 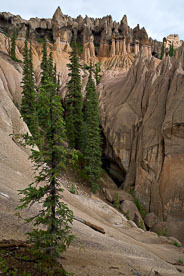 Dry Wash - A dry wash leads to a crack between the rocks at Badlands National Park in South Dakota. 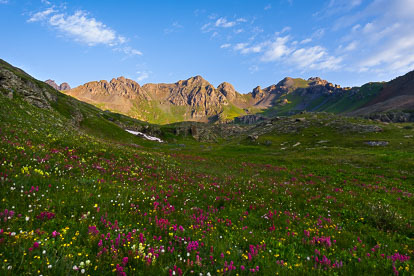 Alpine Flower Sunrise - The mountains surrounding Clear Lake catch the light at sunrise behind a field of wildflowers outside of Silverton, Colorado. 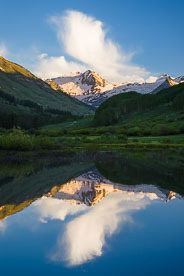 Summer Alpine Reflection - The mountains surrounding Clear Lake reflect in a tarn at sunrise outside of Silverton, Colorado. 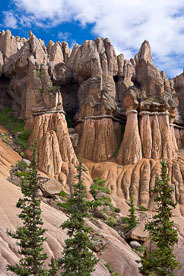 Hoodoo Landscape - Hoodoos rise to the sky in the eerie landscape of Wheeler Geologic Area outside of Creede, Colorado. 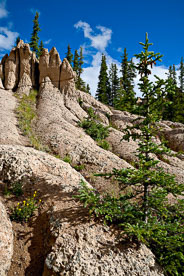 Pine Trees and Spires - Pine trees are surrounded by spires and hoodoos at Wheeler Geologic Area outside of Creede, Colorado. Melting Landscape - The hills seem to be melting away at the Wheeler Geologic Area outside of Creede, Colorado. Last Light on Longs Peak - The last light of the day shines on Longs Peak in Rocky Mountain National Park near Estes Park, Colorado. Mt. Bellview Reflection - The green slopes of Mt. 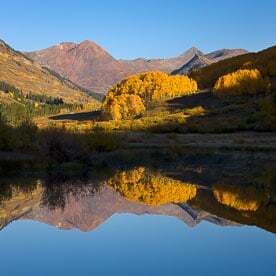 Bellview are reflected in a beaver pond near Gothic, Colorado. 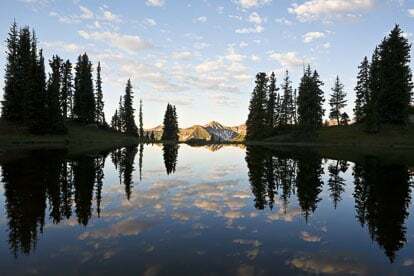 Sunrise Reflection at Paradise Divide - A beautiful sunrise is reflected in a pond on top of Paradise Divide outside of Crested Butte, Colorado. Winter Moon - The full moon sets through the Earth's shadow over Mt. Princeton on a cold winter morning outside Buena Vista, Colorado. Winter Wind on Mt. Antero - Snow blows off Mt. 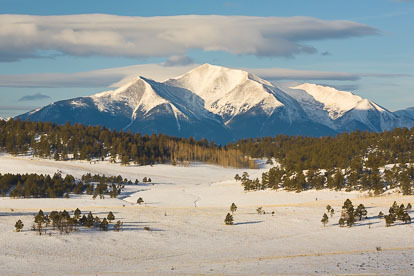 Antero on a brisk winter morning outside of Buena Vista, Colorado. 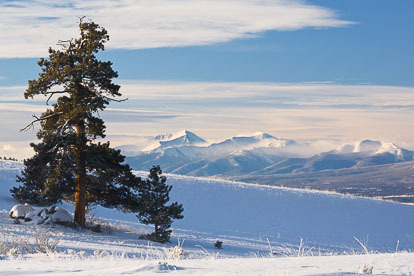 Winter in the Rockies - Panoramic image of the snow covered Sawatch Mountains from above Buena Vista, Colorado. Winter Morning - Clouds hang over Mt. Princeton in a winter scene at Bassam Park outside of Buena Vista, Colorado. 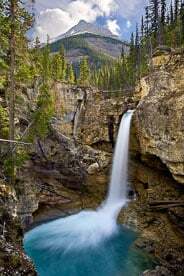 Majestic Falls - Stanley Falls drops into a turquoise pool on Beauty Creek in Jasper National Park, Alberta, Canada. 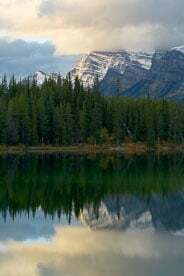 Bow Range Reflection - The snow capped Bow Range mountains reflect in Herbert Lake at Banff National Park, Alberta, Canada. 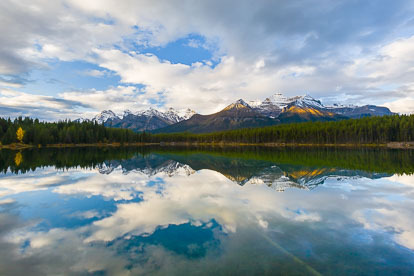 Peak Reflection - The peaks of the Bow Range reflect in Herbert Lake at Bannf National Park, Alberta, Canada. 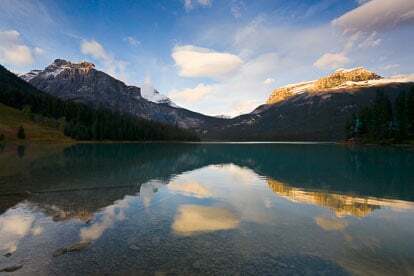 Bring in the Clouds - Clouds move over Emerald Lake at sunset in Yoho National Park, British Columbia, Canada. 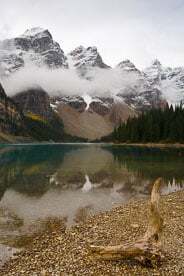 Peaceful Waters - The waters of Moraine Lake are calm after a morning shower at Banff National Park in Alberta, Canada. 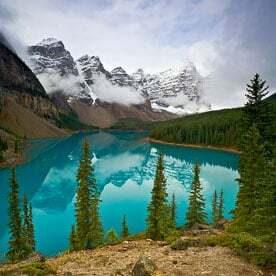 Clearing Clouds over Morraine Lake - The skies open up to show snow covered peaks reflected in the turqoise blue water of Morraine Lake in Banff National Park, Alberta, Canada. Through the Fog - The fog clears over a terrace pool on the Opabin Plateau in Yoho National Park, British Columbia, Canada. 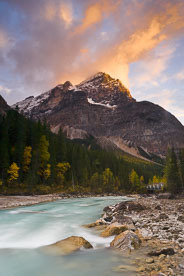 Last Light over the Yoho River - Sunset turns the skies pink above the Yoho River in Yoho National Park, British Columbia, Canada. 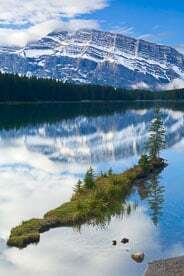 Mount Rundle Reflection - Mount Rundle and the blue skies reflect in Two Jack Lake at Banff National Park, Alberta, Canada. 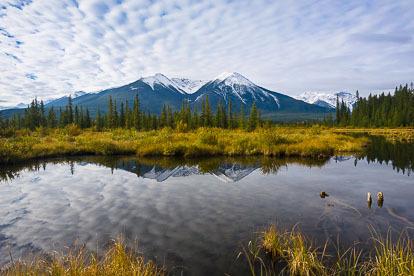 Sunrise at Vermillion Lakes - Puffy clouds and snow capped peaks are reflected in the Vermillion Lakes at Banff National Park, Alberta, Canada. Dramatic Clouds over Elk Mountains - The rain stops and the clouds lift over a valley filled with golden aspens and Beckwith Mountain in the distance outside of Crested Butte, Colorado. 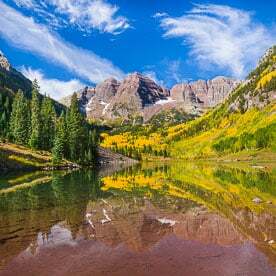 Autumn Grandeur - The Maroon Bells and golden aspen trees reflect in the calm waters of Maroon Lake outside of Aspen, Colorado. 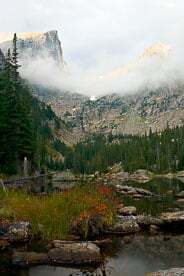 Dream Lake at Sunrise - The rising sun shines through the cloud cover and lights up Hallet Peak behind Dream Lake in Rocky Mountain National Park in Colorado.